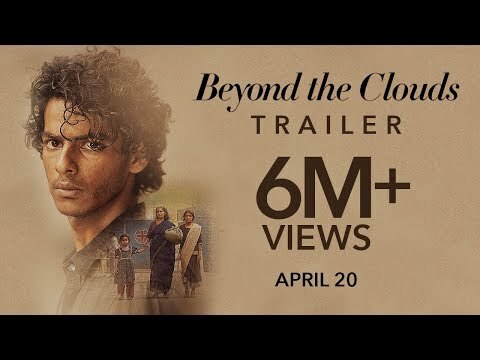 Beyond the Clouds is an Indian drama film written and directed by Majid Majidi with music composed by A. R. Rahman. The film stars Ishaan Khatter, actor Shahid Kapoor's younger brother and Malavika Mohanan in the lead roles. Majid Majidi, the renowned Iranian filmmaker is making his debut in Indian Cinema, and he revealed that this movie dwells on the adoration of love, life and nuanced human relationships. The first look was revealed on 10 February 2017 in Facebook by A. R. Rahman. The movie is will release in three languages including Tamil.Beyond the Clouds is scheduled to release on 23 March 2018 in India.